Virtual Parking - your parking space. For Sale - Cars, Muscle Cars, Classic Cars, Trucks, Vans. 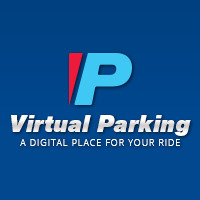 Virtual Parking network includes members from all over the word. In other words your ad will be seen from hundreds and thousands visitors therefore you get better chance to sell your car faster. And the best part is that you can run your ad until you sell the car – no fees no charges. To place your ad you need to Sign up, include your car in Virtual Parking and select that your car is For Sale.